A Place To _ is connecting people, places and great ideas for projects. Anyone can start a project where they live. People who want to start projects will be supported to build their team, design and test out their ideas in real life, and access Active Citizens funding to take their project forward. Talk to us: Come along to a drop-in chat, the coffee is on us. See aplaceto.eventbrite.com for upcoming dates (please register if you will be coming along). Be inspired: Register and come along to an Activate workshop to find out more, learn about imaginative projects from around the world (and right here in Dudley) and take the first steps to start something different where you live. See aplaceto.eventbrite.com for upcoming workshops. Take part: Come along to projects which have started in Dudley, such as Trade School, Incredible Edible, Crafternoons in Coseley or Dudley SOUP. Help project teams to form: If your group or organisation supports or works with people who might like to have a go at starting a project where they live, we can come and run an Activate session with them. Project teams will be given a free Activate Pack full of inspiring ideas, and ongoing free support to develop their ideas and access Active Citizens funding. Get connected: Join us for a Bring & Share Supper on 16 November 2016 to get connected to people who share your passion who want to help you. Offer A Place To_ : Great projects need great places. 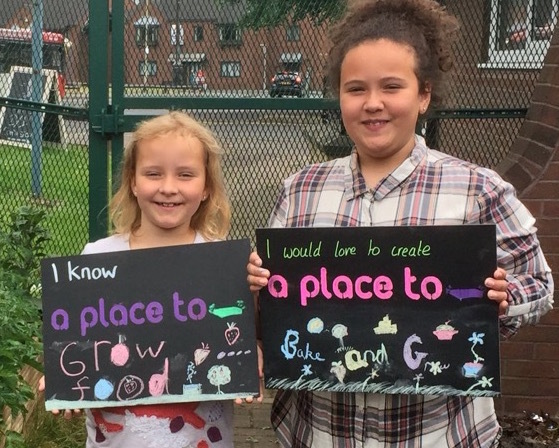 If your group or organisation has a space people could use to start participatory projects – whether it’s a small room, a large kitchen or a bit of land outdoors that things could happen on, please do let us know.